This work is an experiment with physical and digital methods of using words, and the element of water, for a series of photographic prints, video projection and installation based on experiences of flooding. During the event, ‘After the Flood’, at Phoenix Foundry's commemoration of the Tenth Anniversary of the Lewes Floods in October 2010, I placed a box of blank postcards in the exhibition space and invited visitors to leave words and short phrases representing their memories of the flood. Shortly after beginning this work, the title Sandbag Haiku coincidentally gained a terrible irony with the post-earthquake floods in Japan. The scale was so large and the suffering so great that I could only make an oblique reference to the disaster by borrowing a TV reporter's striking phrase. 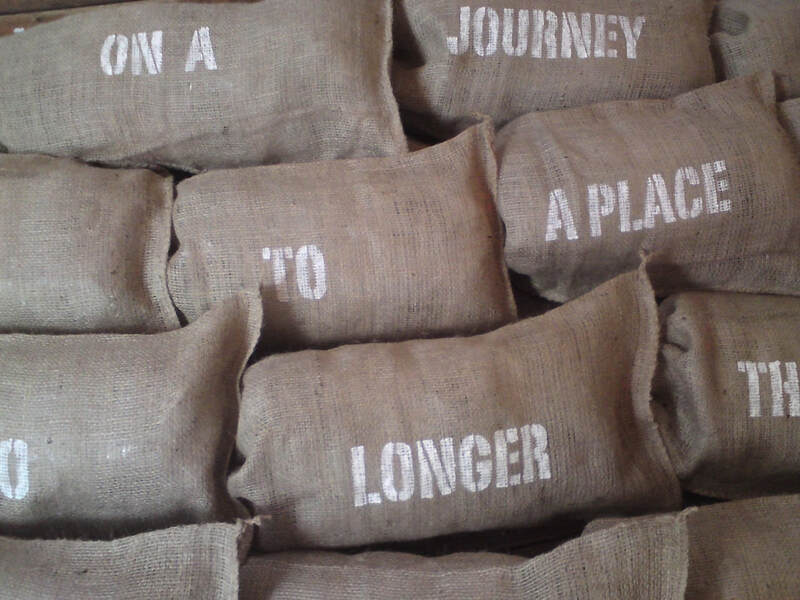 Combined with words already gathered from anonymous Lewesians, the resulting poem was stencilled onto sandbags, forming the centrepiece of an installation. In the darkness of a brick cellar, a looped film (click here) showed phrases floating and dissolving on water to sounds. The 'haiku' became visible as the film faded to black.